Kitchen Faucets that are unique and very well built. 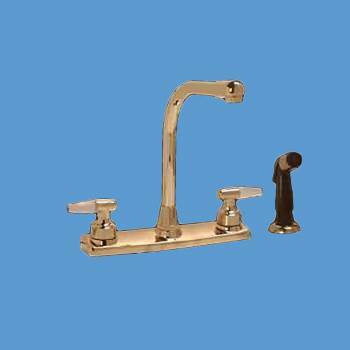 Purchase your Kitchen Faucets here today. Features the convenience of a moveable spout? Comes with a handy sprayer unit? 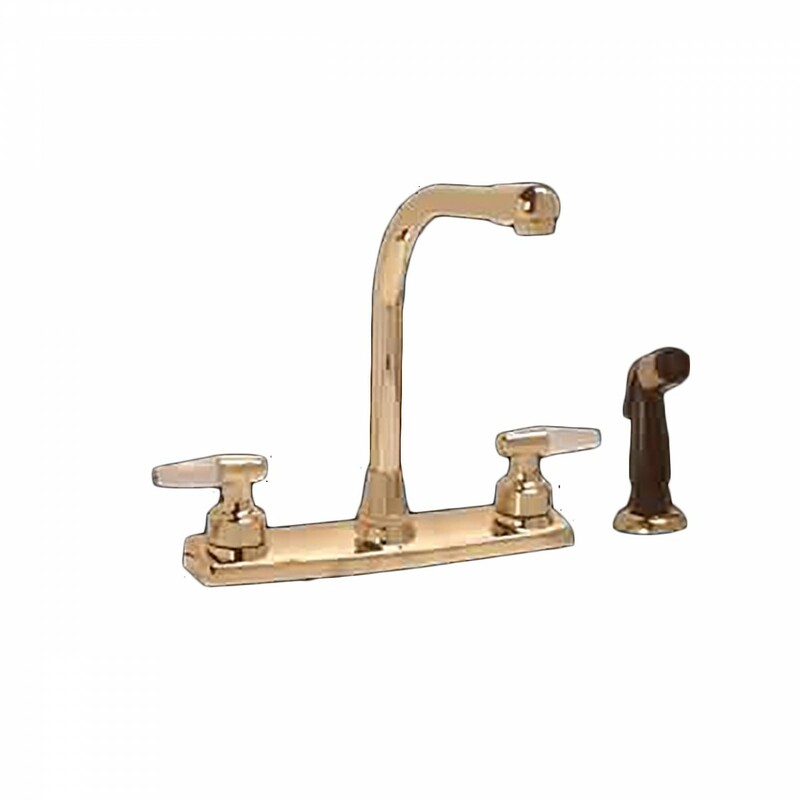 Has attractive white lucite lever handles? Has a deck mount design? Comes with a no-drip/no-tarnish guarantee? 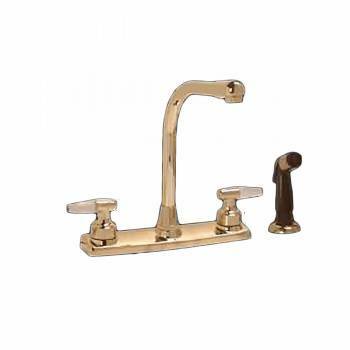 Kitchen Faucets: This brass high neck faucet measures 10 1/2" high and comes complete with sprayer.